Tata Sons has bought 11.8 million shares of Tata Motors in tranches from last Monday to Friday, according to block deal data. The transaction — the second one in less than a year — is seen as an effort to restore investor faith in the company following a dismal performance by its UK subsidiary, Jaguar Land Rover Automotive. In the quarter that ended in December (Q3), Tata Motors reported a loss of Rs 26,961 crore. The non-cash loss, the biggest ever reported by a corporate entity in India, came on account of an impairment charge of £3.1 billion taken by JLR. It was led by uncertainties around Brexit, slowing sales in China, and technological disruptions. 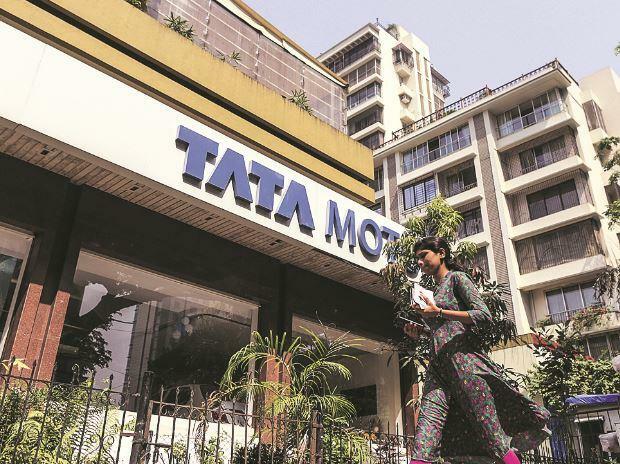 The Tata Motors shares tanked to a 52-week low of Rs 141.90 a piece, down 22.41 per cent or 41 points on 8 February — the day after the earnings were reported, compared to the previous close of Rs 182.90 per share on the BSE. Since then, the stock has recovered. It closed at Rs 163 a piece on Monday, up 1.18 per cent. Year-to-date, it has dropped 50.22 per cent. The increase in stake by the parent company may help restore investor confidence in the stock, said analysts. “After a sharp correction, they (Tata Sons) are finding the stock attractive and see value in it as a long-term investor. This may boost investor confidence to some extent,” said Mitul Shah, vice-president, research, Reliance Securities. He however, added his brokerage had retained a negative view on the stock and would retain its “reduce” rating. He attributed it to the global slowdown in the luxury car market and headwinds facing JLR. Most of the other brokerages have trimmed their forecasts and earnings per share estimate after the Q3 results. After the latest round of share purchase, the holding company's stake in its flagship firm, goes up to 34.6 per cent from 34.2 per cent at the end of December quarter. Tata Sons has been gradually stepping up its holding in the beleaguered company as it battles the odds, the worst since it bought the marquee UK-based brands from Ford Motor in 2008. In the quarter ended in September, Tata Sons increased its stake in the maker of Tiago and Harrier models to 34.2 per cent from 33.3 per cent in June, the highest since the December 2015 quarter. With the write-off, the company expects to reduce depreciation and amortisation costs by almost 300 million pounds in a year and reduce the break-even point. “It’s a right step we have taken in terms of reducing our costs, improving our break-even, and improving our competitiveness,” P B Balaji, chief financial officer at Tata Motors had said after company’s third quarter earnings. The impairment charges, he added had been arrived at after taking into consideration the current assets on JLR’s books, future investment, and “stress testing” it for low growth environment, coming particularly out of China, rising interest rates, and technological disruptions.